As a personal project I wanted to create something relevant to my experience in the outdoors. Hiking around the backcountry I can never fit my field guide anywhere convenient; it's always a production getting it out of the pack to identify species. Using bright colors and vector illustrations I created a digital field guide concept for my first exploration of user interface design. 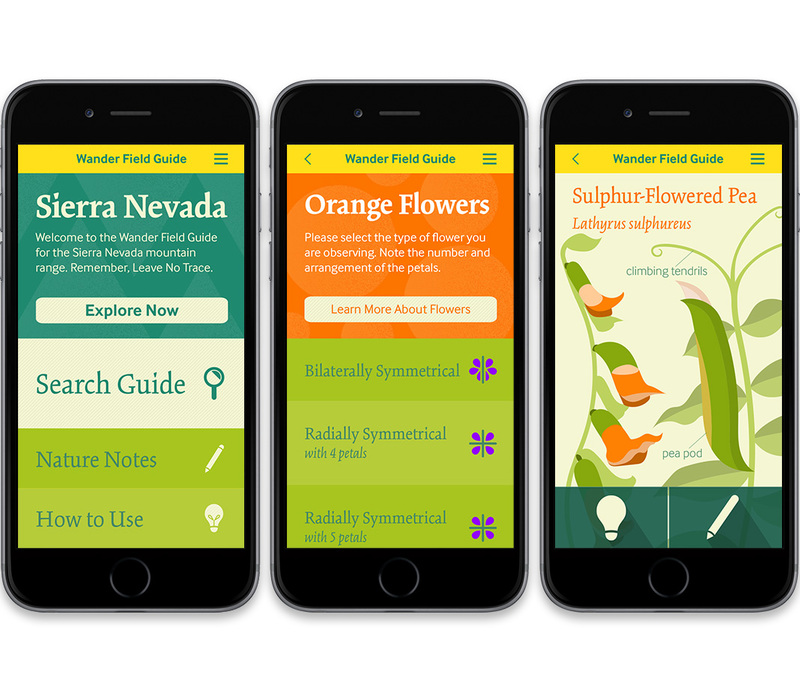 The Wander Field Guide is an identification app designed to help the beginning naturalist explore their surroundings. 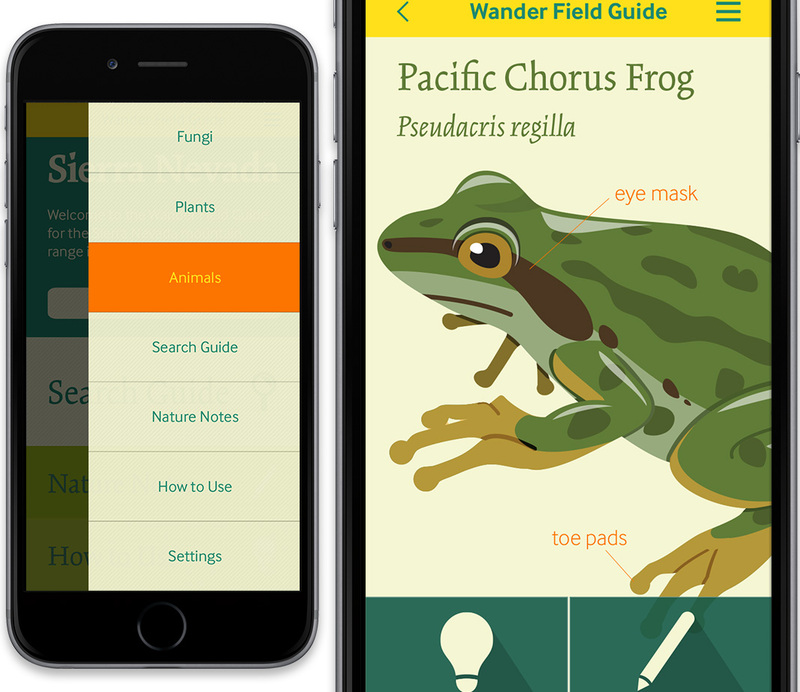 It features full color illustrations, intuitive organization, and detailed information on fungi, plant, and animal species. Created for smart phones it's much more portable than traditional identification books, making it ideal for backpacking and hiking.